NEW YORK — Researchers at Weill Cornell Medical College have successfully tested their novel anti-cocaine vaccine in primates, bringing them closer to launching human clinical trials. Their study, published online by the journal Neuropsychopharmacology, used a radiological technique to demonstrate that the anti-cocaine vaccine prevented the drug from reaching the brain and producing a dopamine-induced high. 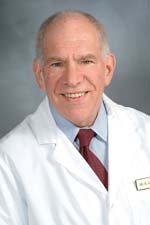 “The vaccine eats up the cocaine in the blood like a little Pac-man before it can reach the brain,” says the study’s lead investigator, Dr. Ronald G. Crystal, chairman of the Department of Genetic Medicine at Weill Cornell Medical College. In this study, the researchers sought to precisely define how effective the anti-cocaine vaccine is in non-human primates, who are closer in biology to humans than mice. They developed a tool to measure how much cocaine attached to the dopamine transporter, which picks up dopamine in the synapse between neurons and brings it out to be recycled. If cocaine is in the brain, it binds on to the transporter, effectively blocking the transporter from ferrying dopamine out of the synapse, keeping the neurotransmitter active to produce a drug high. The PET studies showed no difference in the binding of the tracer to the dopamine transporter in vaccinated compared to unvaccinated animals if these two groups were not given cocaine. But when cocaine was given to the primates, there was a significant drop in activity of the tracer in non-vaccinated animals. That meant that without the vaccine, cocaine displaced the tracer in binding to the dopamine receptor. Previous research had shown in humans that at least 47 percent of the dopamine transporter had to be occupied by cocaine in order to produce a drug high. The researchers found, in vaccinated primates, that cocaine occupancy of the dopamine receptor was reduced to levels of less than 20 percent. The Cornell Center for Technology Enterprise and Commercialization, on behalf of Cornell University, has filed a patent application based on the research described in this press release. Dr. Crystal is named as a co-inventor on the patent application. Dr. Vallabhajosula has consultation agreements with two radio-pharmaceutical companies. All other authors declare no conflicts of interest.